According to the CDC, in 2015 alone, 5,376 pedestrians were killed in traffic accidents across the United States. Another 129,000 were treated for broken bones and road rash, as well as head and spinal cord injuries. Due to the long-term consequences of these injuries, insurance companies will often try to reduce their liabilities by offering accident victims a low-ball settlement. Even worse, they often pressure accident victims into accepting an offer quickly. You should never sign a settlement without first speaking to an experienced Round Rock TX pedestrian accident attorney first. Unlike motorists, pedestrians do not have airbags or seat belts to protect them from harm in an accident. As such, they sustain more serious injuries and are more likely to suffer fatalities. Injured pedestrians are often forced to endure weeks, and sometimes even months, in hospitals and rehab centers trying to recover from their injuries. During this time, they may be unable to work and provide for their loved ones, which causes unnecessary financial burdens for families that are already struggling. It is estimated that a single pedestrian accident costs victims, on average, $58,700 just in economic losses alone. Pedestrian accident fatalities result in economic losses of up to $4.5 million per fatality. Establishing fault after a pedestrian accident is the key to winning your case and collecting the compensation you need. The state of Texas follows a modified comparative negligence rule, which means that anyone who is found to be 49% or less at fault for the accident can try to collect a percentage of the damages. Insurance companies are aware of this rule, and will often try to pin as much of the blame on the pedestrian as they can, in an attempt to reduce their liabilities. They may claim that you weren’t in a crosswalk or that you were distracted while crossing the street, even if untrue. To protect your rights, you need an attorney with extensive knowledge of Texas personal injury law on your side. A Round Rock pedestrian accident attorney will investigate the accident closely, interview eyewitnesses, and speak with medical professionals to clearly establish fault and liability after your accident. Failure to establish liability will directly affect the outcome of your case. If you or someone you love has been injured in a pedestrian accident in Round Rock, Texas, it is important to know that the law is on your side. 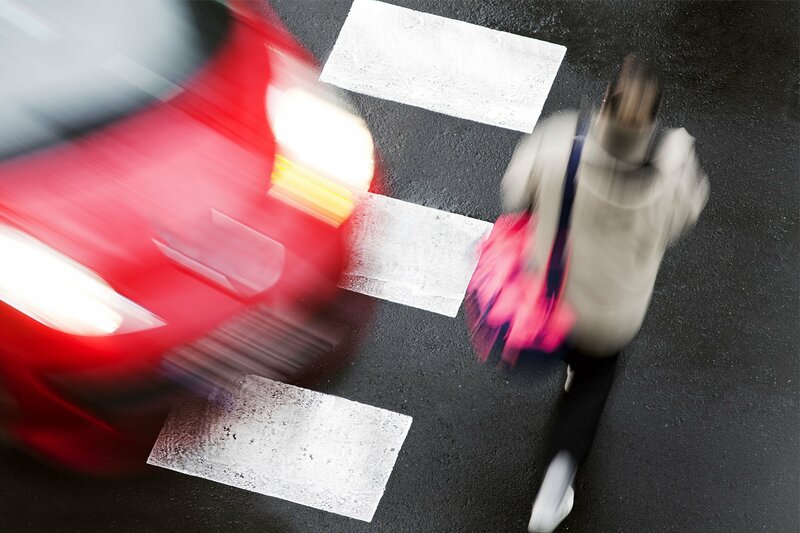 Pedestrian accident injuries are often severe and life-changing. As such, it is important to contact an aggressive and experienced law firm with an extensive knowledge of Texas injury law. Call Elissa I. Henry Law Firm, PLLC today at (512) 766-4529 for a free initial consultation and review of your case. We can help you move forward after a devastating pedestrian accident.